In this Pre-Written Spring Cleaning Content Bundle –articles, a report compiled of the articles, keywords, and royalty free images, you’ll be able to talk to your audience on a variety of options for cleaning and you can also talk about going green with cleaning supplies and the toxins that are used. This would be a great bundle for a lot of different blogs including lifestyle, mom blogs, organizations and other similar blogs, but it would also work if you were a direct sales consultant with a MLM company. Use the content on your blog, on your social media accounts or as a report so that you can share your products throughout. This Spring Cleaning Content Bundle will help you bring in traffic and readers to your blog because you’ll be talking about topics that people are searching for – like going green or spring cleaning specific areas such as the garage or your workplace. You can also use this content as part of a challenge. Spring is right around the corner and people are going to want to start getting rid of things that they don’t use anymore and cleaning up. You can help them do that. Not only can you blog about spring cleaning to help them, but you’ll be able to recommend products that they can use and earn affiliate commissions. 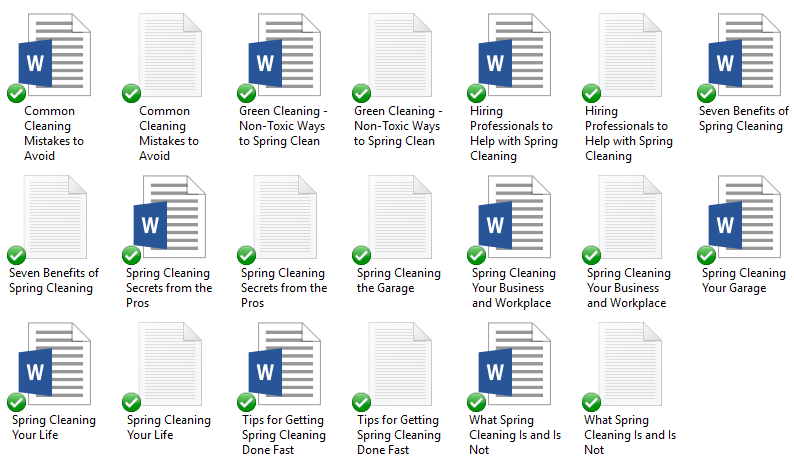 The Pre-Written Spring Cleaning Content bundle will help you teach your audience about important topics that they desperately need because of the wide range of topics in this bundle. 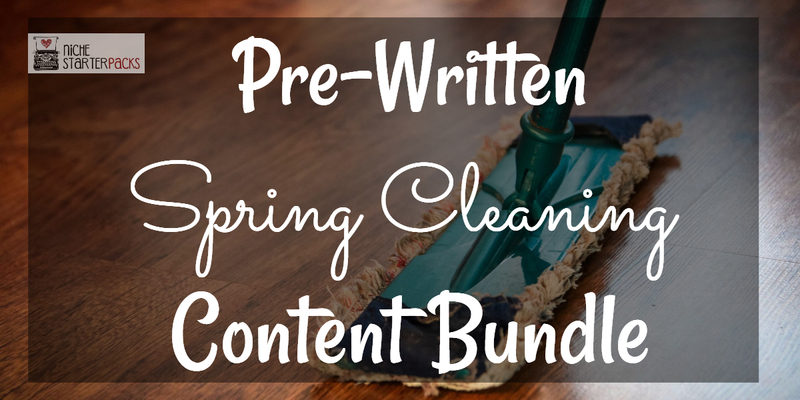 Pre-Written Spring Cleaning Content Bundle (Articles, Report, Royalty Free Images, Keywords) – Get It All For $27! 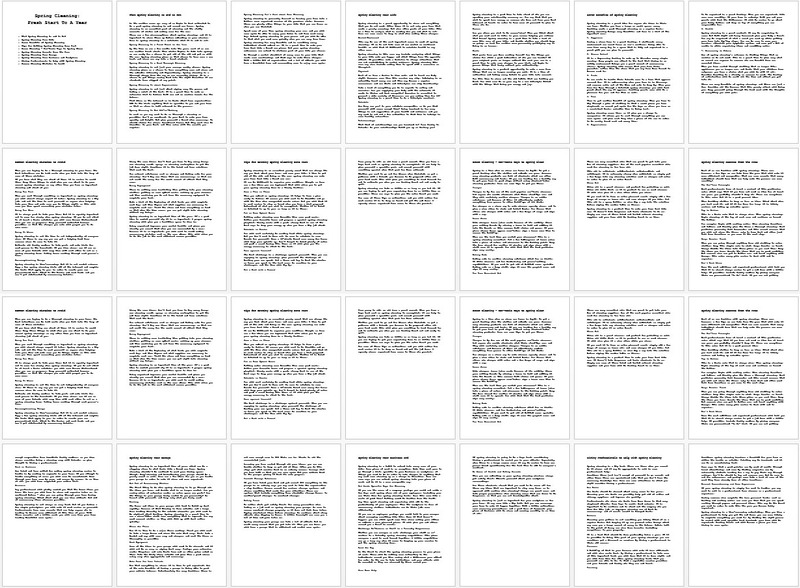 You’ll get a 20-Page report all about spring cleaning. This is a great opt-in because it talks about a topic that people want to do every single year. This report is going to help you grow your subscriber list. 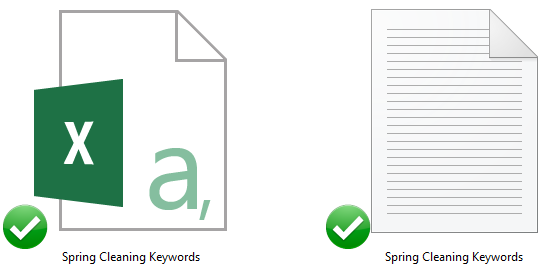 I’ve come up with 200 long tail keywords all related to spring cleaning. You’ll find some of these are what people like to call low-hanging fruit keywords while others have more searches.